Plywood is an engineered wood made by gluing several veneer sheets in set pattern to achieve uniform strength in different directions. Veneers are typically strong in direction of wood grains.Therefore veneers used to make plywood are assembled in different directions where the wood grains of each veneer sheet is placed in different direction to one another. For example a good quality plywood of 5 piles will have veneers placed at 0, 45, 90, 135 and 180 degree thus offering strength in multiple axis. This assembling helps better adhesion and offers strength in all possible directions, making plywood a stiff material.Besides, the veneers are always coated with resin which are assembled and hot-pressed to make plywood. Not only its construction, but the glue used to make plywood is also very strong, making plywood even stronger. A Low quality plywood will have veneer sheets arranged perpendicular to each other. 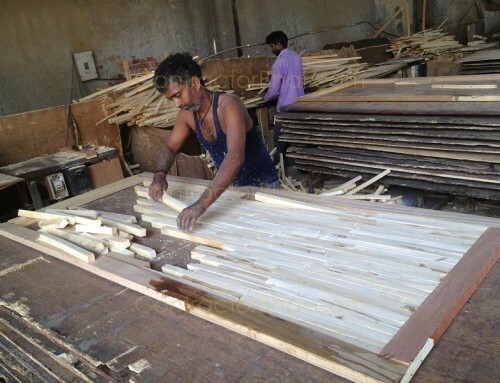 Uttar Pradesh – Eucalyptus production, so on an so forth. You therefore will find difference in each plywood. But, a plywood i.e. a particular plywood will be made of one veneer type only. If you happen to notice, an 18 mm plywood weigh different. 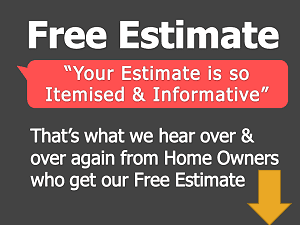 You may have an 18mm plywood weighing 30 kgs or 28 kgs too. 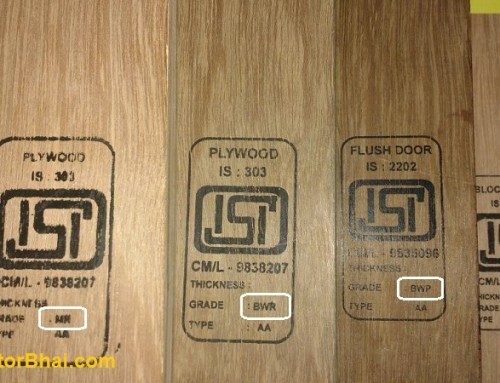 Both are good quality plywood probably manufactured at same unit. 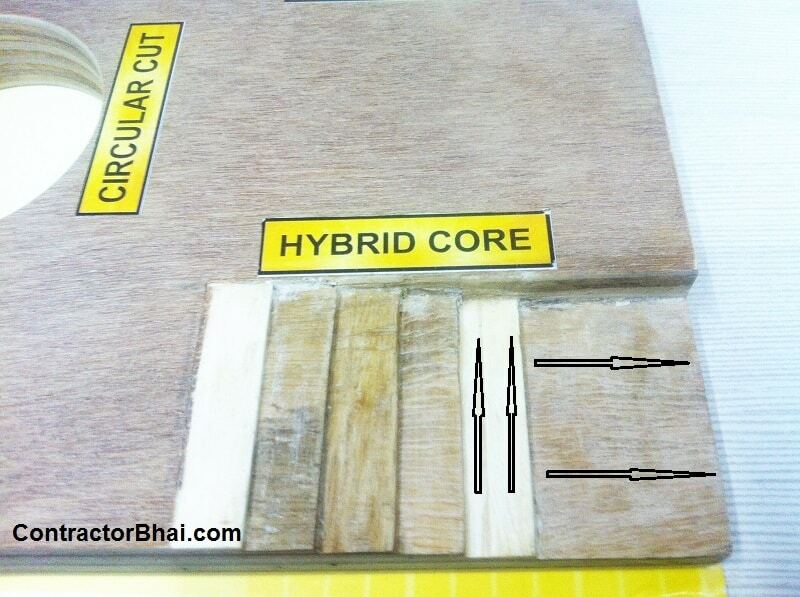 As I told you earlier plywood is made up of veneer, but veneers are obtained from different species of wood. Therefore plywood’s (be it of same thickness), weight will vary with veneer type. 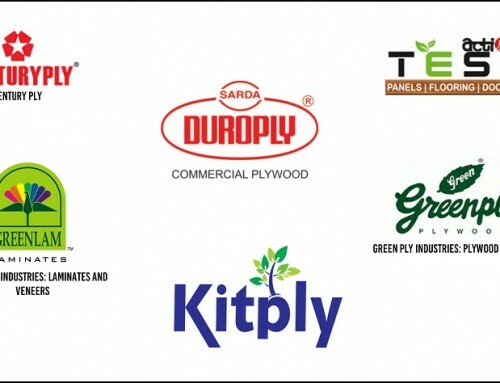 To make it simpler, let’s say ‘A’ plywood is made up of veneer obtained from Rubber tree and ‘B’ plywood is made up of veneer obtained from cherry tree. Not necessarily the weight of veneer obtained from each of these tree species will be similar. 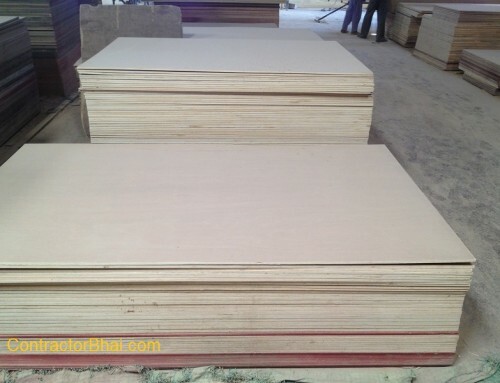 You therefore find weight difference in same thickness plywood. You will always find weight differing by 1%- 2% with difference in not only wood specie by also brand and manufacturing location too. Lastly not forgetting, using right type of plywood in right area increases plywood life and strength too. Like if commercial plywood with MR grade which is not water proof is used in wet areas, it will get damaged, stink and tend to bend. Here the plywood will not last for longer period of time. If marine ply or BWR grade plywood is used in wet areas (which it is meant for), the product will last longer and its strength wouldn’t be lost. 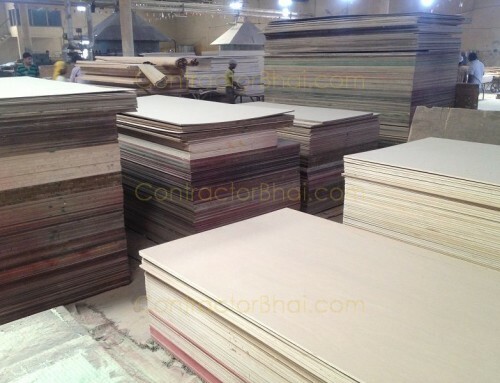 We therefore suggest home owners to use commercial plywood for dry rooms like living room, bed room, study room, etc. And BWR grade or marine plywood where water contact is expected like kitchens, bathrooms and toilets.